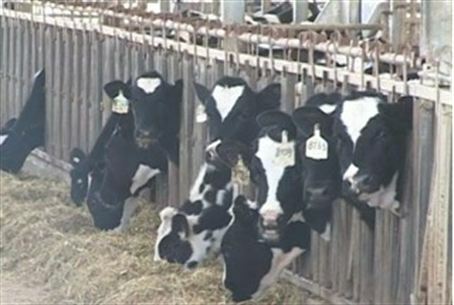 South Korea, which has suffered a devastating outbreak of foot and mouth disease, turned to Israel for help in rebuilding dairy production. One country which has turned to Israel for help is South Korea, where the dairy industry has been virtually wiped out over the past year, thanks to an epidemic foot and mouth disease. Hundreds of thousands of cows, along with pigs, goats, and and deer, were culled over the past year, including over 50,000 milk cows. Milk from infected cows was destroyed, and by the time it was over, over three million animals had been destroyed. The majority of animals destroyed were pigs, with pork a mainstay of the South Korean diet – but almost 20% of dairy cows were destroyed as well. Since the height of the outbreak last winter, the country has opened the market to imports of meat and dairy products, but authorities have been trying numerous strategies to rebuild their own herds. The crisis has led South Korean officials to Israel. The head of the largest dairy cooperative in the country, Seoul Milk, was in Israel this week examining some of Israel's technologies, along with 55 executives in the company. Among the companies the delegation will be visiting in Israel is Netanya's SCR Engineering, the world's largest largest manufacturer of electronic milk measurement devices. The devices allow farmers to keep a constant eye on cows, observing them for the first sign of illness or conditions, such as Ketosis, that would hamper their ability to produce milk. The devices can also measure, for example, how much cows are eating, and whether changes in feed can increase their milk output. The company offers numerous other solutions, as well.